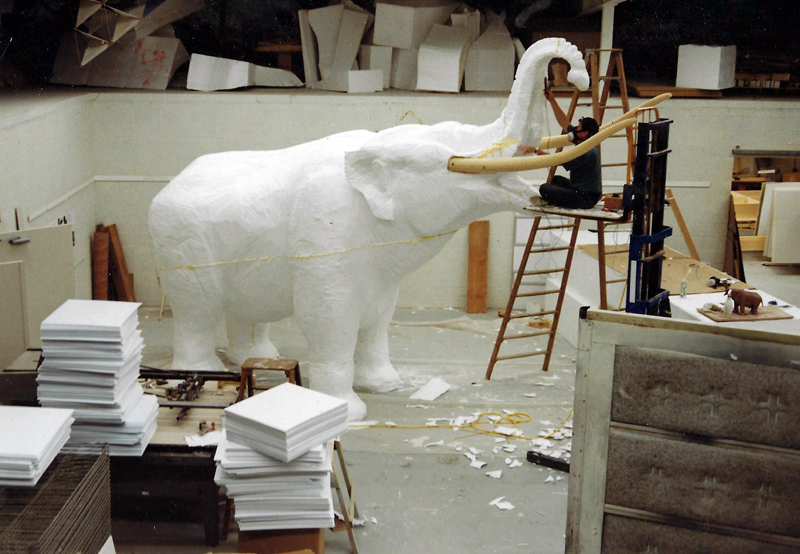 The project of creating the mastodon replica began by first sculpting a clay scale model based on information supplied by archeologists, as well as by referencing illustrations and other models. 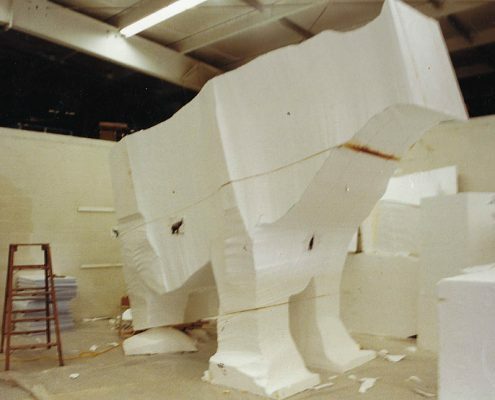 At a scale of 1” = 1′, close attention was paid to skeletal and muscular structure, in particular the shape and size of its shoulders and unique sloped head. 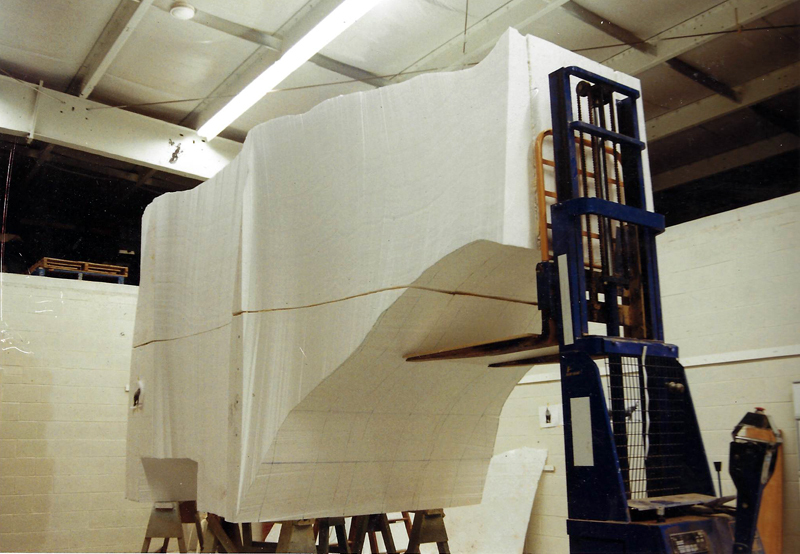 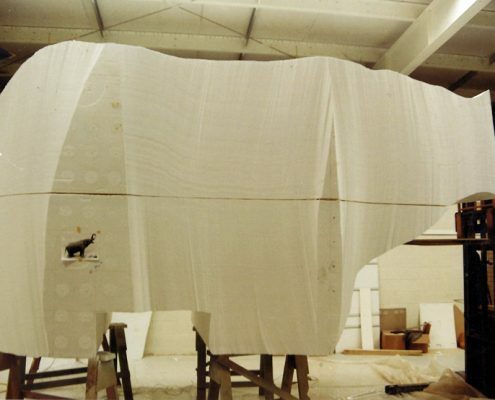 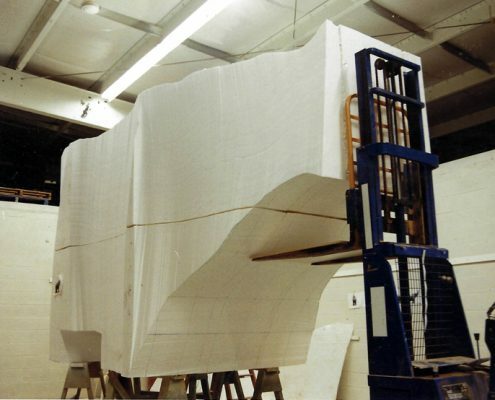 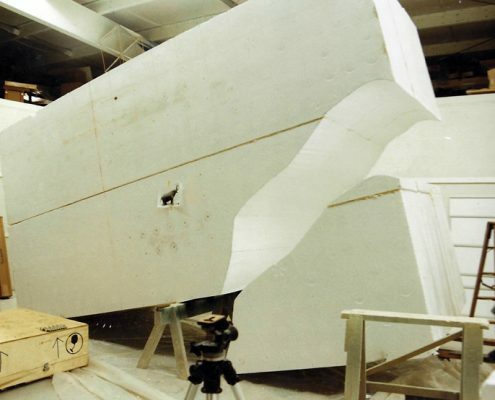 Once the clay model was perfected, work commenced on the production of a full-scale fiberglass and steel replica, actually slightly larger than life-size for impact. 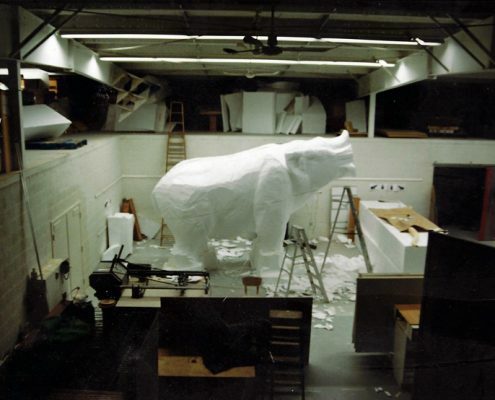 The entire project, from sculpting the clay model to the completion of the fiberglass and steel replica took about 8 weeks. 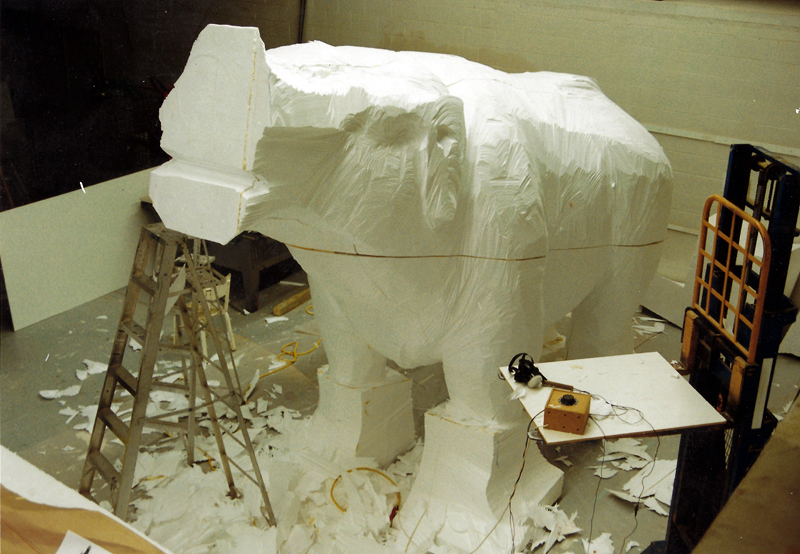 In January of 1995 the mastodon was delivered to Mastodon Ridge, where it still stands today. 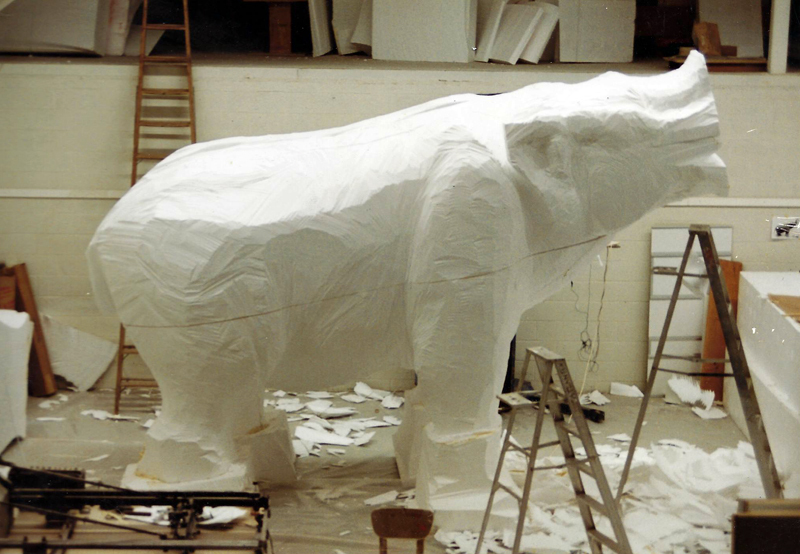 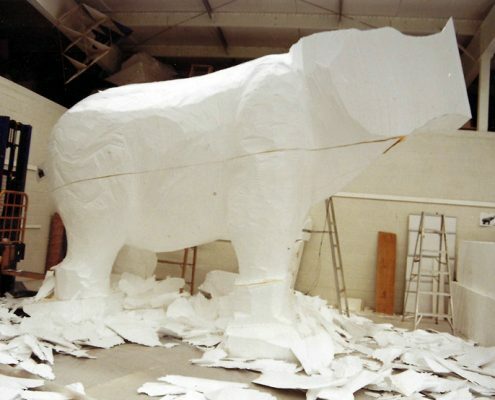 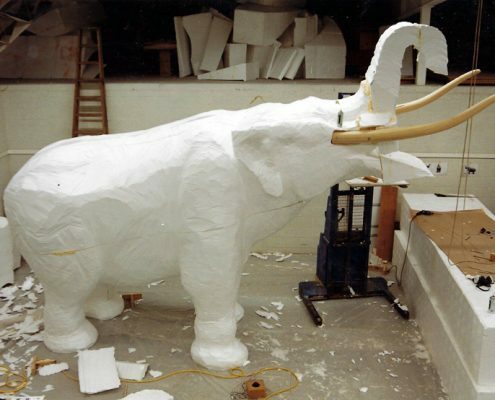 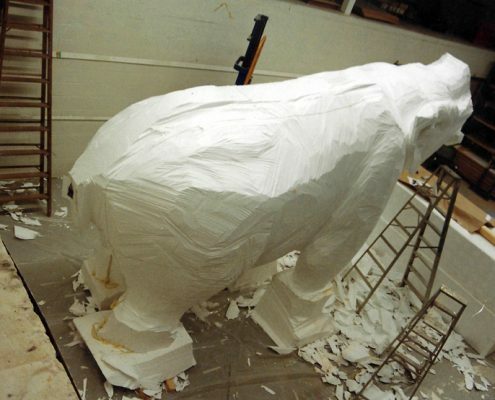 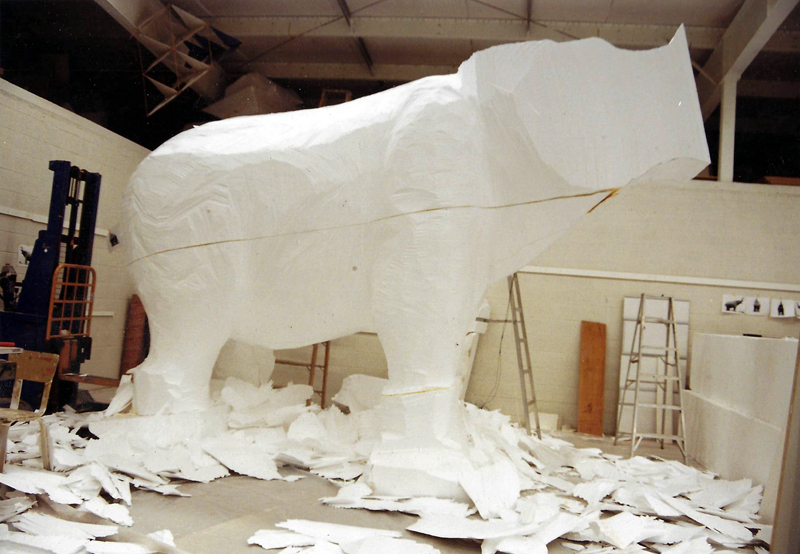 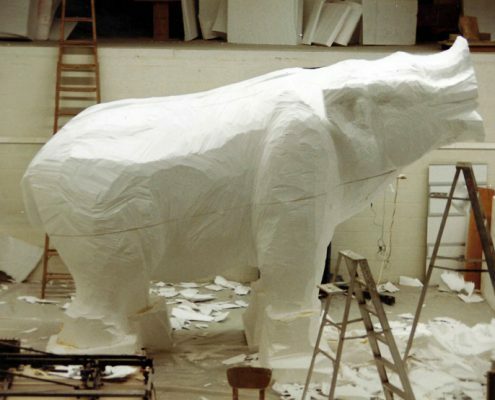 First, large blocks of Styrofoam were sculpted into the Mastodon image approved by the archeologists and based on the clay model. 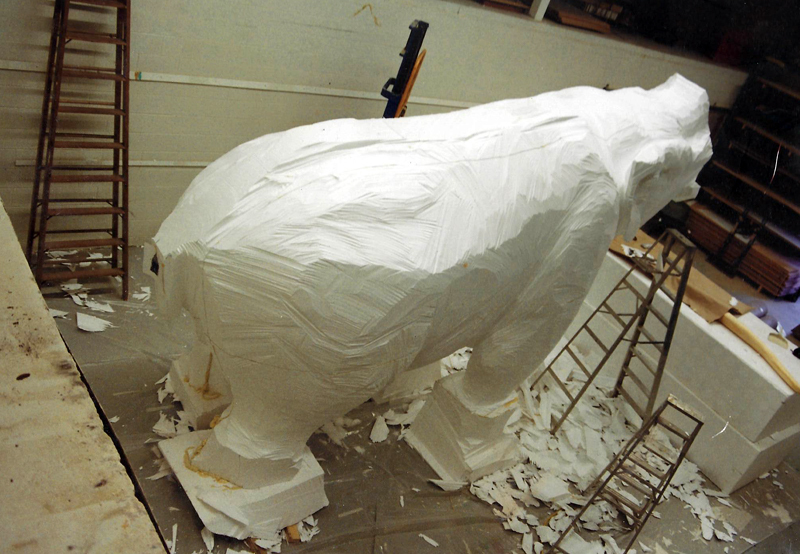 Follow the sculpting process in our photo gallery below! 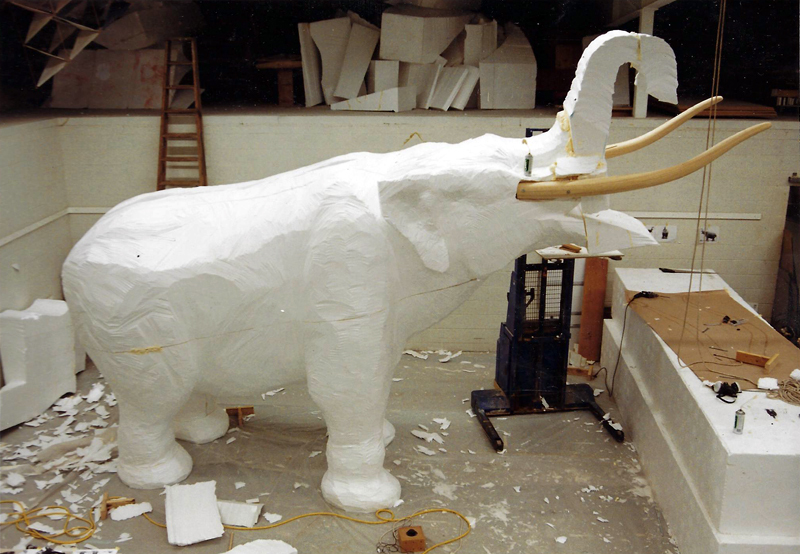 Molded tusks were installed and a stainless steel armature was incorporated into the foam sculpture for structural integrity. 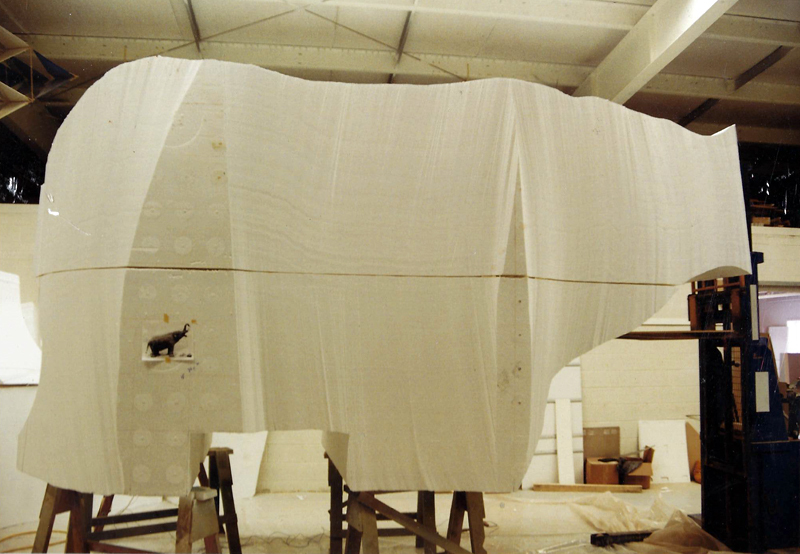 This stainless steel skeleton eventually provided the base for securing the finished model to its cement mounting pad. 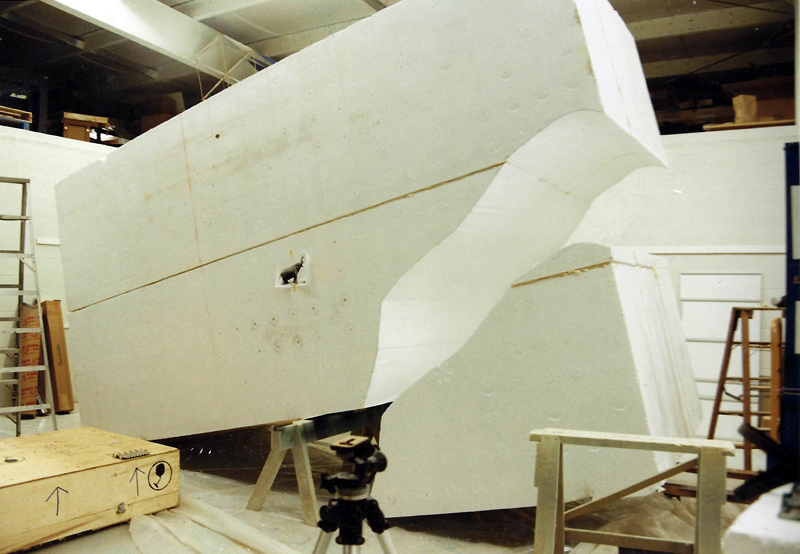 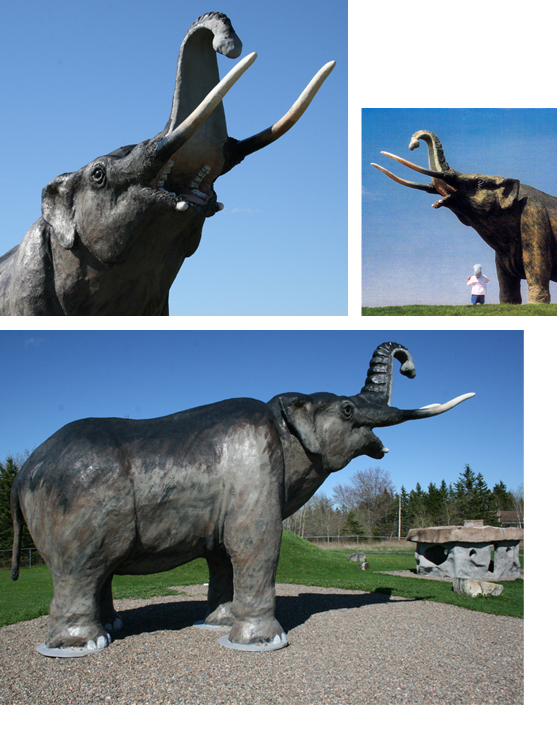 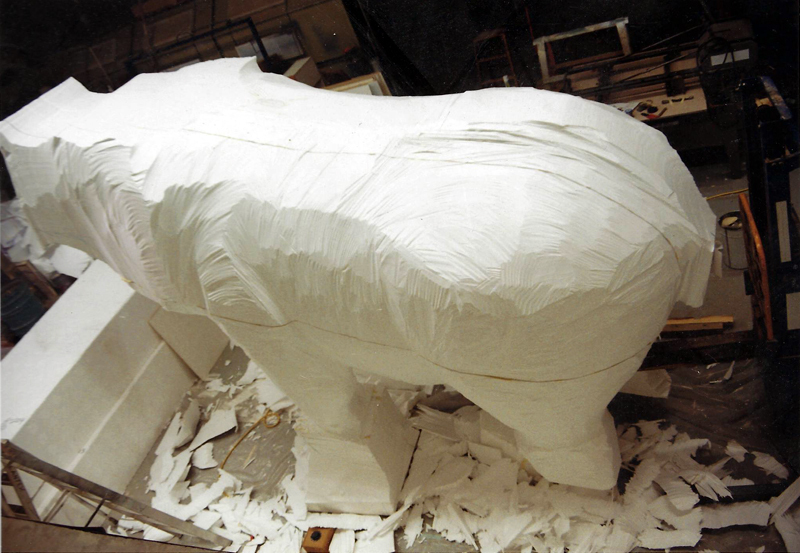 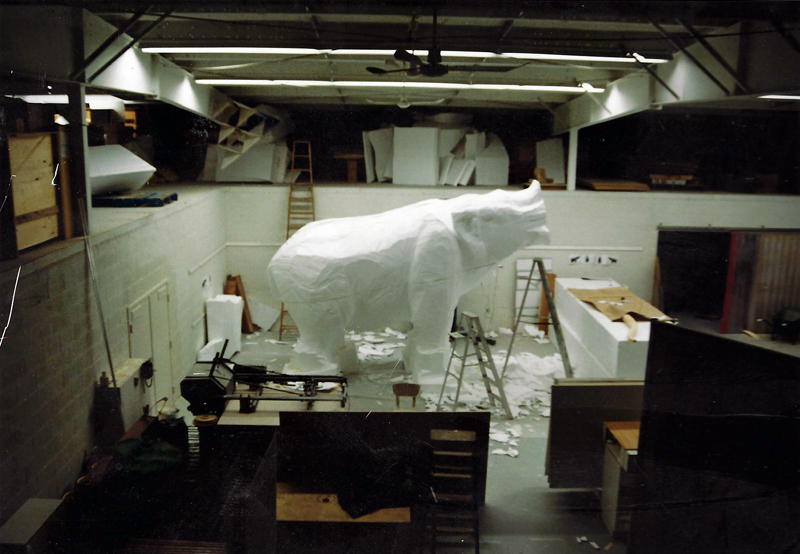 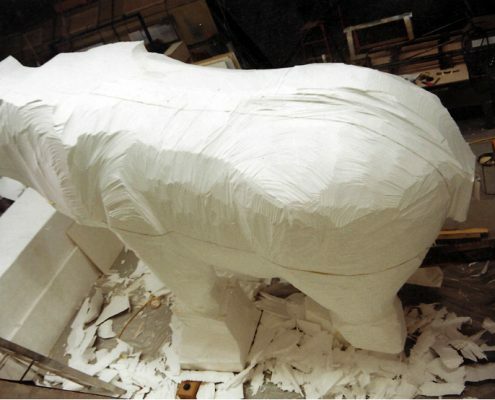 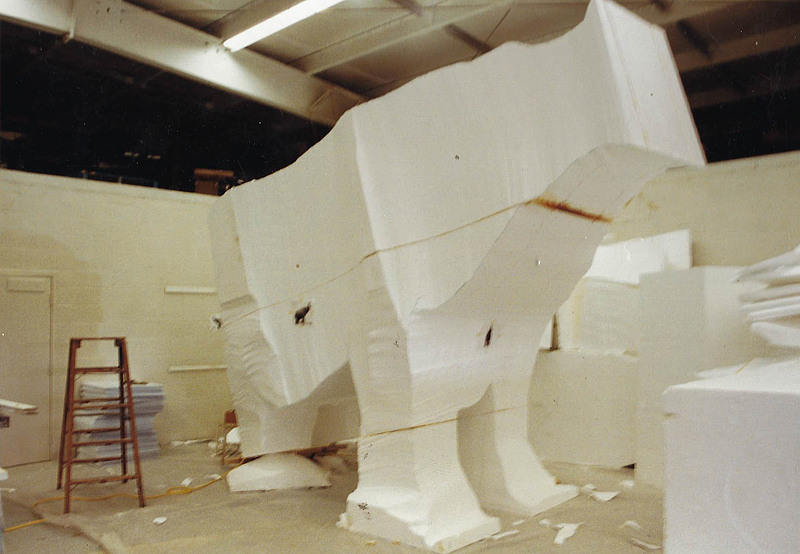 A 3/8” thick layer of fiberglass was then applied to the entire mastodon and given a weather resistant finish. 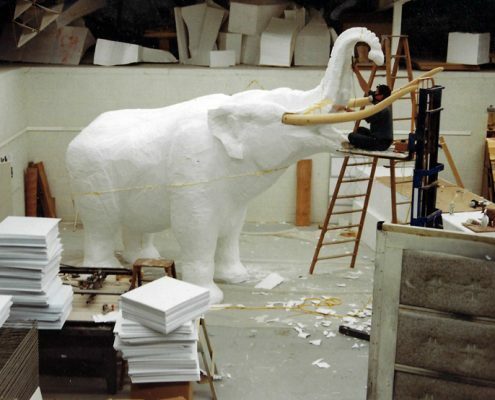 A simulated fur coat was added using a mixture of polyester and fiberglass and the entire model was painted the colour the creature may have been when it roamed this area thousands of years ago. 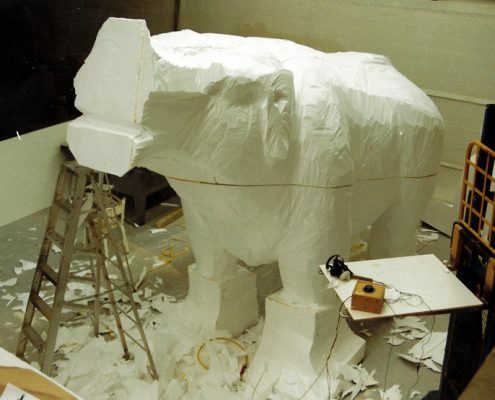 After 22 years, Marvin the Mastodon has required some TLC to deal with cracks and a faded exterior. 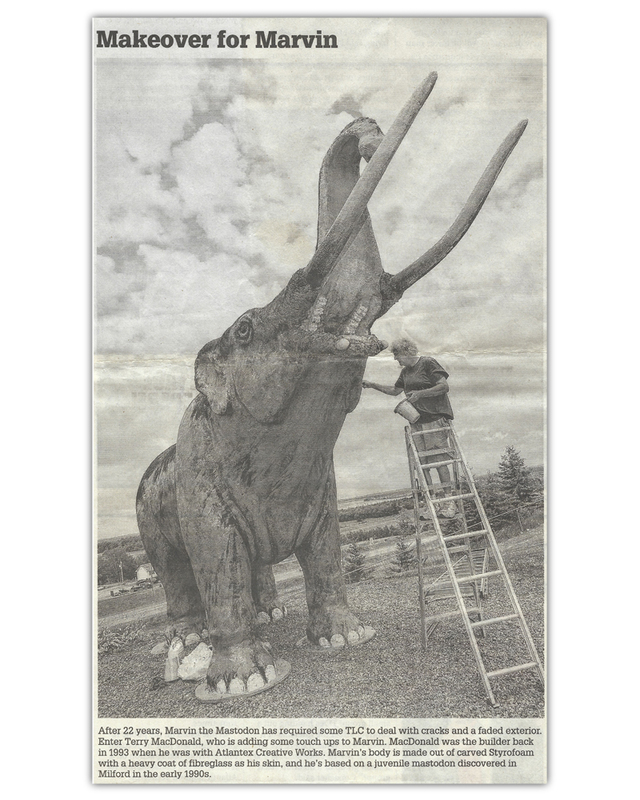 Click here to see a picture of Terry MacDonald, the builder back in 1994, add some touch ups to Marvin.